Father's Day always brings a bag if mixed emotions for Justin. And for me. On one hand I want to celebrate everything that he is and everything that my dad is but on the other hand, I know Justin would give ANYTHING to have his dad with us today. 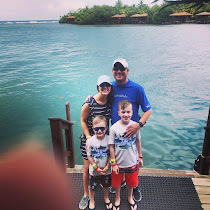 Dave is always on our minds but Father's Day takes it to a whole new level so what we do is 100% up to Justin and it is no surprise that for the last few years he's wanted to be at the lake. 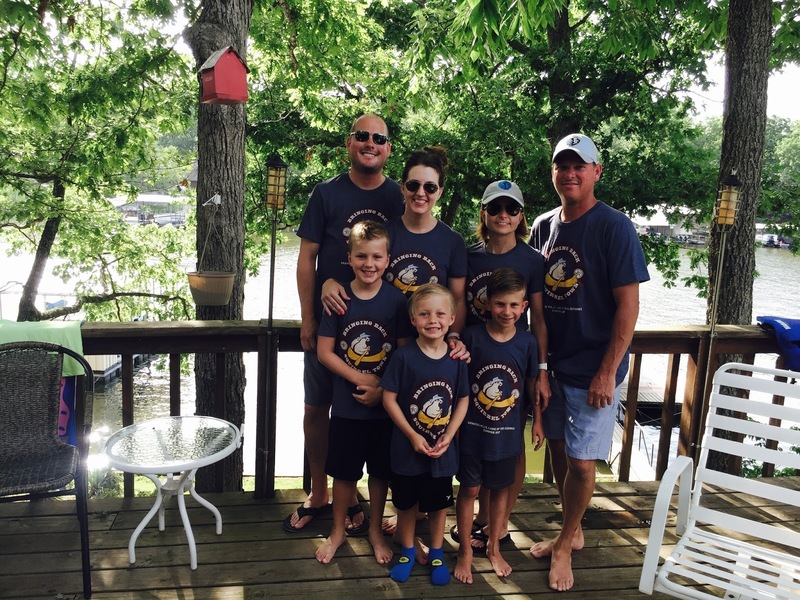 This year Adam and Becky joined us and when we arrived our summer lake shirts that Cousin Leanne had made for everyone were waiting for us. Squirrel Town -- some inside joke about a place at the lake many, many years ago. & as heavy as Father's Day can be, one thing is certain, Justin is an exceptional father. He isn't worried about rolling up his sleeves and getting down and dirty with the boys. He often is asked to play the mom role as I am out of town traveling and he doesn't miss a beat. He loves being outside with them whether it is playing baseball, basketball, soccer or just watching them ride bikes. He is teaching them the art of cooking by including them in the prep work. He's quick to let them know when they are out of line & can do better but equally as quick to express just how proud he is of them. We got lucky this one and couldn't love and appreciate him more than we already do. & I know his dad is so proud of the father he is.